The Ascended Masters who guide and help with the expansion of Light on this planet are God-Free Beings, not bound by time and space. Having come into embodiment, as you and I through the portals of birth, they walked the earth fulfilling the inner calling of their God Presence day by day, lifetime after lifetime. They mastered all the lesser things of this world, learning the lessons of life, balancing karma, fulfilling their earthly mission and manifesting and becoming God in action. At the completion of their mission they achieved the ultimate Victory through the Ascension, the permanent integration with the light of their own true reality, their Mighty I AM Presence. They continue to stand ready to assist the mankind of earth to accomplishing this same Goal and will continue to extend the Fires of their Hearts till all are received into the Great Brotherhood of Light. An Ascended Master is an individual who by Self Conscious effort has generated enough Love and Power within himself to snap the chains of all human limitation, and so stands free and worthy to be entrusted with the use of forces beyond those of human experience. He realizes himself to be the Oneness of Omnipresent God - “Life.” Hence, all forces and things obey his command because he is a Self-Conscious Being of free will, controlling all by the manipulation of the Light within Himself. Now, as Masters of Life, they have vowed to assist our struggling humanity to fulfill its Divine Destiny through imparting their Love, their Light, their Wisdom, their very Life — and are urging us to boldly follow in their footsteps. As Jesus instructed, "Seek ye first the Kingdom of God and all else will be given unto thee." 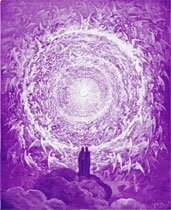 To be wrapped in the Radiance of an Ascended Master is to touch the coattails of Heaven. This is but one of the many Blessings awaiting those determined to pursue their Divine Destiny. These Glorious Beings, who guard and help the evolving human race, are called the Ascended Masters of Love, Light, and Perfection. They are all the word Master implies because by bringing forth the Love, Wisdom and Power of the God Self within, They manifest Their Mastery over all that is human. Hence, They have "Ascended" into the next expression above the human - which is Superhuman Divinity, Pure, Eternal, All-Powerful Perfection. It is through the radiation or outpouring of his own Pure and Luminous Essence of Divine Love that an Ascended Master is able to help those who come under his care and direction. This Luminous Essence has within It the Highest Force in the Universe, for it dissolves all discord and establishes Perfect Balance in all manifestations. 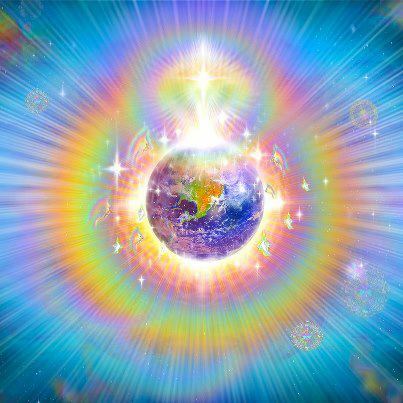 The Ascended Master's Body is constantly pouring out Rays of His Light Essence upon the discords of earth, dissolving them like the rays of force which we call light and heat from our Physical sun dissolves a fog. The Radiation which they pour out to humanity on earth is consciously drawn energy to which they give quality, and again send it out to accomplish a definite result. In this way, they give protection thousands and thousands of times to persons, places, conditions, and things of which mankind are totally oblivious. 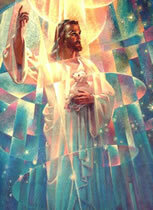 The Ascended Masters are the Guardians of the race of men, and as in the world of physical education, various grades of teachers are provided to guide the development of the individual's growth from childhood to maturity, so do the Ascended Masters of Perfection exist to educate and help the individual that he too may expand his consciousness beyond ordinary, human expression. Thus, he develops his superhuman attributes, until like the student graduating from college, the one under the care and instruction of an Ascended Master graduates out of his humanity into the full, continuous expression of his Divinity. The Ascended Master has the All-Knowing Mind and the All-Seeing Eye of God. From Him nothing can be hidden. Each Master knows and sees all concerning the student, for He reads clearly the record which the student has made. This reveals the state of the disciple's development - his strengths as well as his weaknesses. - Retreat: Shamballa, the etheric retreat of Gautama Buddha is the ancient home of Sanat Kumara. The retreat, once physical on an island of the Gobi Sea, is now anchored in the etheric plane over the Gobi Desert. - Retreat: Hierarch of Shamballa, the retreat of the Lord of the World and the headquarters of the Brotherhood of Light on earth. - Retreat: Focus of Illumination in the Himalayan Mountains. - Retreat: Temple of Cosmic Comfort, an etheric retreat with a physical focus in Ceylon (Sri Lanka). - Retreat: The Cave of Light in the Himalayan Mountains in India and the Rakoczy Mansion in Transylvania, Romania. - Retreat: Arabian Retreat in the Arabian Desert (northeast of the Red Sea). - Serving directly under Vesta, She focuses the God Consciousness of Truth to the Earth. - Retreat: Pallas Athena ministers to mankind from the Temple of Truth above the Island of Crete. - Retreat: The retreat of Elohim Cyclopea and Virginia is in the Altai Range where China, Siberia, and Mongolia meet, near Tabun Bogdo. - Kwan Yin held the Office of Chohan of the Seventh Ray for two thousand years until Saint Germain assumed that office in the late 1700s. - Retreat: Beloved Kwan Yin's retreat, The Temple of Mercy is located in the etheric plane over Beijing (Peking), China. - Retreat: Portia and Saint Germain have a retreat over Ghana, Africa. This is an important focus, where Portia focuses the Flame of Divine Justice. -Retreat: Arabian Retreat in the Arabian Desert (northeast of the Red Sea). - Retreat: Hierarch of the Temple of Wisdom, Kashmir, India. This retreat is also called the Temple of Illumination and the Cathedral of Nature. It is located in the etheric realm over the hills of Kashmir. - Retreat: Retreat of God's Will in Darjeeling, India. - Retreat: Royal Teton Retreat, Grand Teton Mountains, U.S.A.
- Retreat: Château de Liberté in southern France. - Retreat: Retreat and Temple of the Ascension in Luxor, Egypt. - Retreats: Cave of Symbols in Table Mountain, Teton Mountain Range, Wyoming; and the Great Divine Director's Rakoczy Mansion in Transylvania, Romania. - Retreat: The Shrine of Glory, in the Andes Mountains. - Retreat: On the inner planes at Bingen, on the Rhine River in Germany. - Retreat: Retreat of the Master of Paris. A castle-like retreat located over the Île de la Cité, which is the island in the Seine in the very heart of Paris, France. - Retreat: Temple of Faith and Protection, in the etheric realm over the Canadian Rockies, near Banff and Lake Louise, Canada, and extending over the border of the United States. Retreat: In the Etheric Realm south of the Great Wall near Lanchow, north central China. Retreat: Temple of the Crystal Pink Flame an etheric retreat over the city of St. Louis, Missouri. - Retreat: Etheric retreat located between Sacramento and Mount Shasta, California, U.S.A.
- Retreat - Temple of the Sacred Heart, located in the etheric realm over Fatima, Portugal. - Retreat - Etheric retreat over the Tatra Mountains south of Krakow, Poland. - Retreat: Temple of Purification in the etheric realm over Cuba. - Retreat: Half Dome, Yosemite National Park, Sierra Nevada, California, U.S.A.
- Retreat: Retreat of Apollo and Lumina in Lower Saxony in southern Germany. - Retreat - Over Lake Winnipeg in Manitoba, Canada. - Retreat: Near the Gulf of Archangel, southeast arm of White Sea, Russia. - Retreat: In Altai Range where China, Siberia, and Mongolia meet, near Tabun Bogdo. - Retreat: Temple of Peace, located in the etheric realms over the Hawaiian Islands. - Retreat: Etheric Retreat near Luanda, Angola, Africa. - Retreat: The Sacred Retreat of the Blue Flame, located in an island northeast of Viti Levu (the largest of the Fiji Islands). - Retreat: Etheric retreat over an island in the Bering Sea off the Kamchatka Peninsula, Russia. - Retreat: The Cosmic Being Pelleur's focus is in the Center of the Earth, where there is the Sun of Even Pressure.